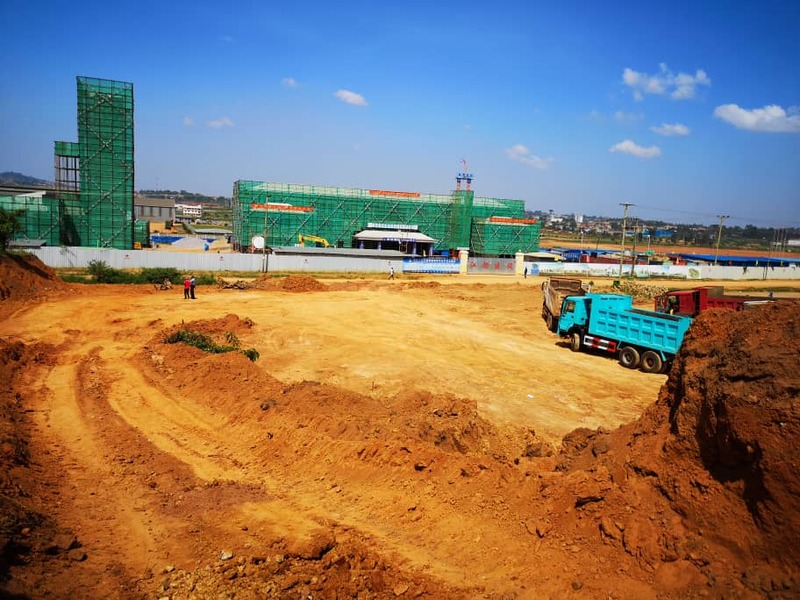 KAMPALA – Raxio Data Centre is Uganda’s first independent neutral-cloud tier 3 facility aimed at addressing the storage of information and tackle country’s cost of Internet. PML Daily‘s Abraham Mutalyebwa caught up with the General Manager James Byaruhanga in an exclusive interview about Raxio’s job in the country. Briefly tell us what Raxio Data Centre is and whether there are gaps in the industry you have come to address. Who are the brains behind this project? A data centre is a physical facility purposely built to store information or data. There are measures that necessary to make sure that your information is safe. These include working on physical security, CCTV, biometric access, process and checkpoints, cooling to make sure that the temperatures are suitable for data storage and many others. The industry today has a big element of manual filling in various sectors like insurance, banking, hospitality, airlines, non-government bodies, government offices, among others. We are here to help bring a solution to this. There’s also the issue of back up on the primary location of information so that all your data is traceable and accessible at any time needed. Business today lacks an element of continuity. This facility will bridge that going concern aspect of the business and will facilitate long term archiving. Raxio is financed by ROHA from the USA. Internet in Uganda is the most expensive across East Africa. What do you think explains this? And how will the Data Centre help to bridge the gap? In Uganda Internet is perceived to be expensive but it’s not the case. There are lots of factors leading to this. First Uganda is a landlocked country and our Internet break up points are located in Mombasa and Dar es Salaam. This will be solved by having all the submarine cables aggregated in one facility/virtual landing point to close the Internet break up point. Most of our content servers are out between 60% and 70% and having the Content Delivery Networks (CDNs) closer with our facility will reduce this by about 20% both local and regional content thus driving traffic. This will definitely increase the speed and bring down the cost incurred by Internet service providers (ISPs) and telecoms thus bringing the pricing to affordable rates. The fact that other countries have most of their facilities owned by the government. This brings costs down due to high investment done by governments. But if one is to use their private ones, it’s pretty expensive and this is seen in countries like Rwanda, Ethiopia and many others. Raxio must integrate with the existing ISP to create efficiency and reliability of internet in the country. How do you intend to achieve this integration? We are going to build an internet exchange point in the country, second to the public ones done by the government. ISPs have their CDNs out having this facility will bridge the gap and drive local traffic and thus making it cheap. What business opportunities are there to harness with the coming of the first Tier 3 Data Centre in Uganda? First and foremost we are going to create jobs. This a sophisticated facility that we are going to construct. Our contractor is local and all that is employment to Ugandans. Furthermore, our system is highly electrical and mechanical that will require 1.5Mega Watts of power. One of the problems as a country is that we produce a lot of power that is not consumed making the cost of power high. With the coming of Raxio we shall consume some and all that is revenue to the economy. Raxio is a private data centre and some SMEs usually fight about data issues. What assurance do you give to the business community that their information is safe and secure from competition? Because we are running a private data centre that is neutral, we are looking at two key things here. We are cloud and carrier-neutral and anyone who is non-serviced by us and has their fibre cables/ connectivity can put it and the same for cloud providers. This is our uniqueness that we are not specific to connectivity unlike the non-neutral ones that we have and that’s why we don’t consider them as competition because they are also our customers. For the case of data safety that is normally an arrangement between the cloud service provider and the client. Our mandate is to provide the best environment to make sure that their data is safe. Good enough Uganda Communications Commission is working on laws to cater for that. Since Raxio is one of a kind in data storage in Uganda, there must be particular skills necessary to run it. Have you identified locals with the right skills and technical qualifications to run the facility? We have started on the recruitment and the fact that we have had non-neutral facilities in existence there is technical experience in that field. The telecoms have been around for more than 20 years meaning we have some skills already. But we also intend to scout for those in the market and pick out the best crop and of course we shall skill and orient them to suit the demands of the jobs. In the East African region, this kind of facility is in Kenya and Ethiopia. What should be done better as the business is being rolled out in Uganda? Ethiopia has got a government-owned data centre. It is one of the markets we are looking at in the near future after Rwanda and Kenya. We have benchmarked and looked at the challenges that others have faced and now we are focusing on efficiency of the facility since it is green technology. We shall use hydroelectricity as a source of power, borehole for water and for our air conditioning system we have designed future proof ones that relate to the times. The existing data centres are eight years now and we have referenced with great Nordic countries like Finland, Sweden, among others, with the best data centres in the world due to their temperatures. The majority of businesses in Uganda are Small and Medium Enterprises and internet usage or data storage is increasing gradually. As an independent facility will the cost be affordable to attract them? Like I earlier said, our facility provides cloud providers a better solution than before. We are structuring our prices from a quarter rack as our minimum entry point. It’s affordable for one to lease with us than setting up the infrastructure for a server room and this will help save a lot of capital for your business. If they blossom multiple racks can be leased. We expect a lot of Small and Medium Enterprises to harness from by having shared data. This is a new facility and the first of its kind in the country. In case there is a breakdown, how do you plan to work out the dynamics so that people’s data is safe? We have to start from somewhere and when the business becomes profitable we shall automatically set up another one. However, it will be a disaster recovery centre site. Many businesses have primary sites and when they start comparing due to reliability and the fact that it’s purpose built. Hopefully, another one will be up which will be a secondary site and this will drive them to change their business model and take up ours. There are other small non-neutral facilities like for MTN in Mutundwe, NITA, and Airtel in Bugolobi that clients can use. Lastly in Kampala when people are setting up such facilities such as optical data cables the contractors normally dig up the streets and leave the place all messed up. How are you harmonising with the authorities to address this matter? The good thing the site is in Namanve on Kampala – Jinja Road. There are 10 fibres passing through this place where our facility is. There is the national backbone, Africell, UCIT, Roke Telelkom, among others, and we are going to have shared ducts that will be aggregated at the centre. Then lastly the Namanve Industrial Park is not yet tarmacked and this will give us time to work it up. We also have support from the Uganda Investment Authority.